How to wire a 5-leads single phase asynchronous motor to a 3-leads bidirectional controller? 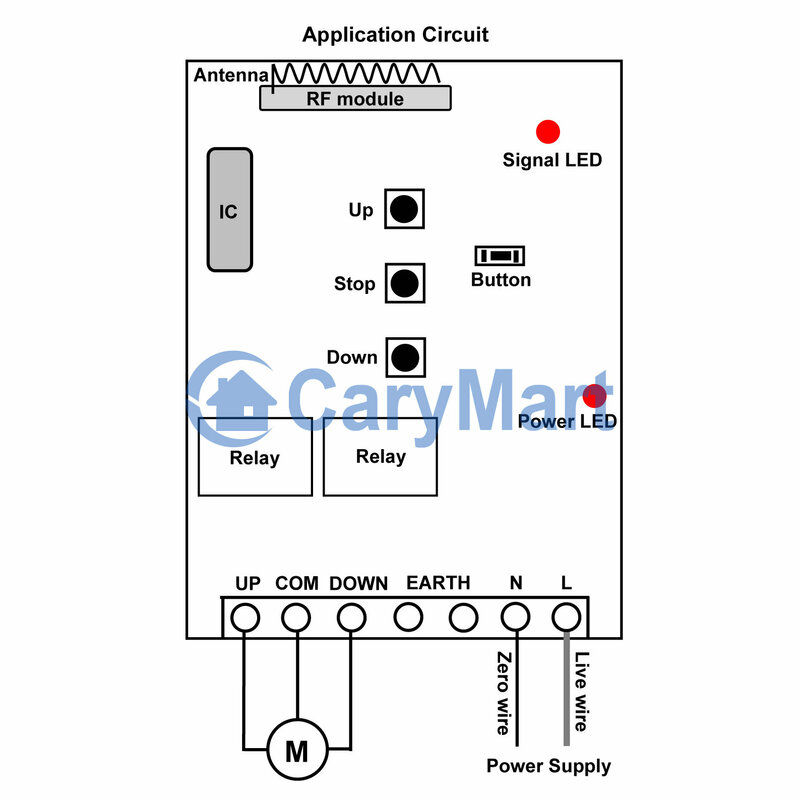 I would like to control it with a cheap wireless controller I had bought from Carymart; the issue is that it has only 3 outputs: UP, COMMON, DOWN, as seen on the following diagram. I assume the phase shift capacitor is neither in the motor nor in the controller, but a bigger problem is how to wire the 5 leads motor to the 3 leads controller. 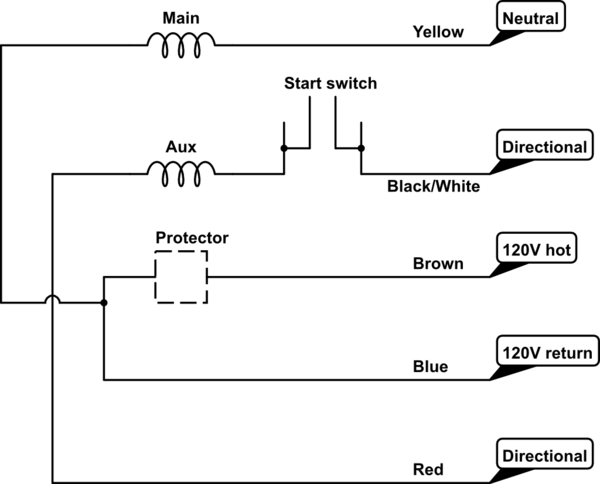 I have found this page on the manufacturer's website which is about this exactly, and implemented it in the following schematic, but they haven't said anything about the capacitor. 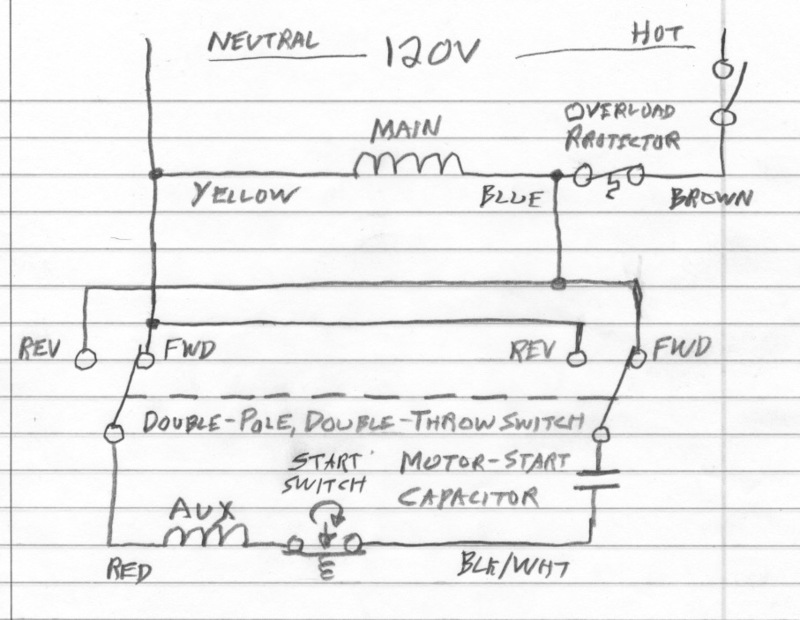 It cannot be an electrolytic type because the current flows in both directions, and since current is always flowing in the capacitor when the motor is running and that it runs for more than 1s (that's a pool cover motor, probably 1min of operation every time), apparently it's not a good idea to have two electrolytics back to back. So I'm stuck. Here is what I think that you need. The capacitor is a non-polarized electrolytic that is designed and sold specifically as a "motor start" capacitor. Not the answer you're looking for? Browse other questions tagged capacitor motor ac or ask your own question. What is the type of this legacy motor and how is it supposed to be controlled?